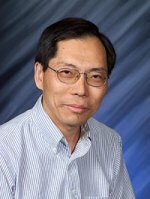 An Affiliate Senior Chief Scientist at Pacific Northwest National Laboratory and a professor at Washington State University Tri-Cities, Dr. Lai-Sheng Wang was appointed to the Editorial Advisory Board of The Journal of Physical Chemistry. During his term, Wang will influence the current policies and future direction of this highly respected and highly cited publication. Wang was selected for this three-year appointment based on his distinguished and innovative contributions to the field of atomic clusters and for pioneering work on gaseous multiply-charged anions. During his 20 years in research, Wang has written or co-written more than 260 publications. He is active in the scientific community, working with the American Chemical Society, American Physical Society, Materials Research Society, and the American Association for the Advancement of Science, where he was recently named a Fellow.